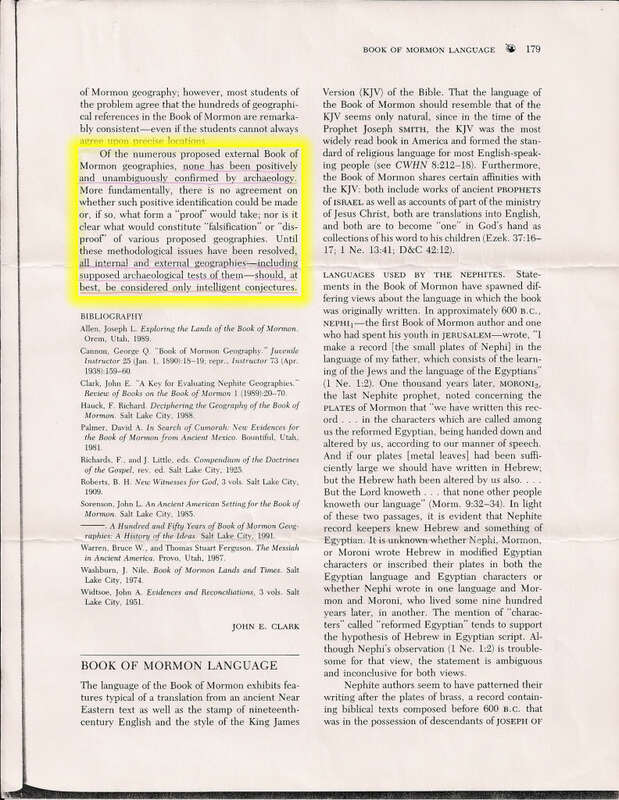 When I began studying comparative religion back in 1991, one of my first interests was the matter of confirming whether or not the rumors I had heard about fake geography in the Book of Mormon (BoM) were true. 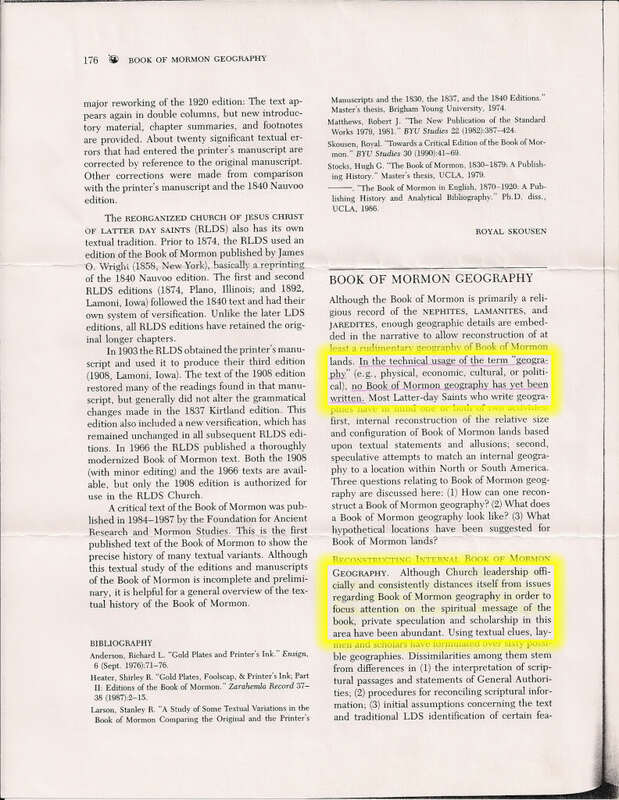 Part of the process I used in investigating BoM geography was finding out what official position the Mormon Church had taken on this subject, not only from a theological concept but more specifically what was fundamentally taught on any kind of LDS academic level. 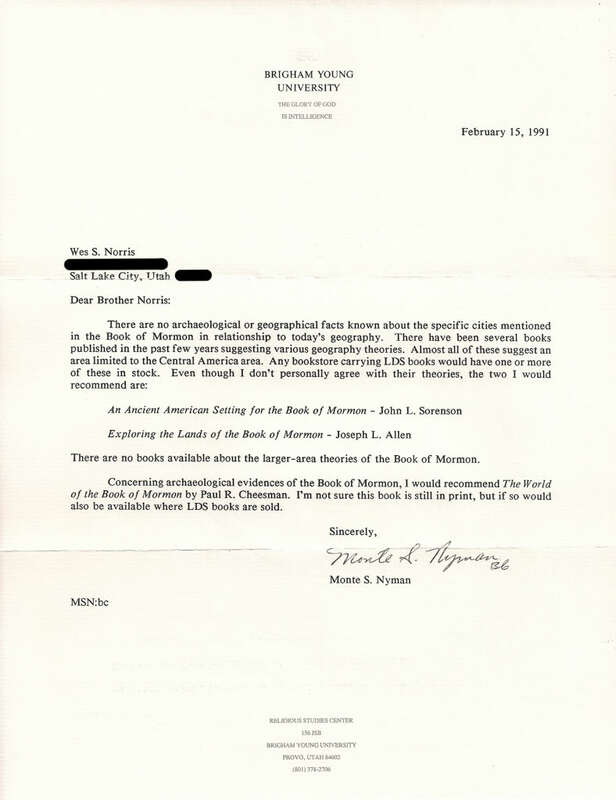 This letter confirmed the rumors I had heard: There are no archaeological or geographical facts known about any of the cities mentioned in the Book of Mormon. This was definitely the beginning of answers from the academic level of the Mormon Church that I had hoped for. 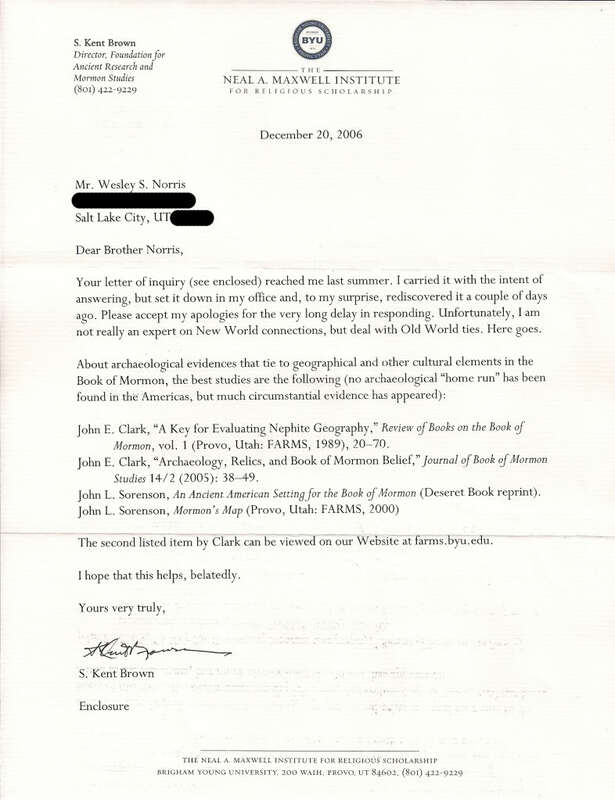 In 1997, six years after my first letter to BYU, I sent another letter to the BYU Religious Studies Center asking about Book of Mormon geography and if there is any known corroborating archaeological support. 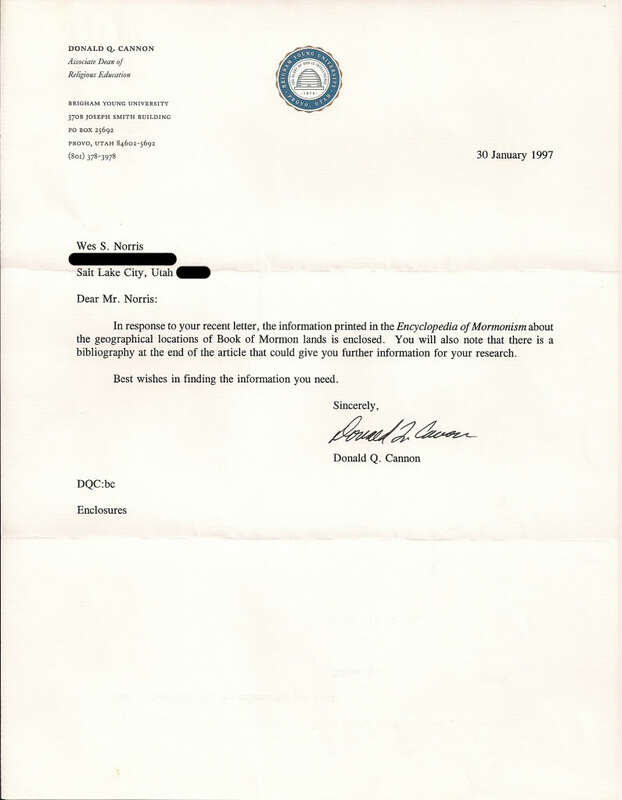 The reply that I received from Donald Q. Cannon, Associate Dean of Religious Education at BYU, was a bit different from the one I had received six years earlier, nonetheless, the answers were from LDS sources and were essentially the same as the previous letter. 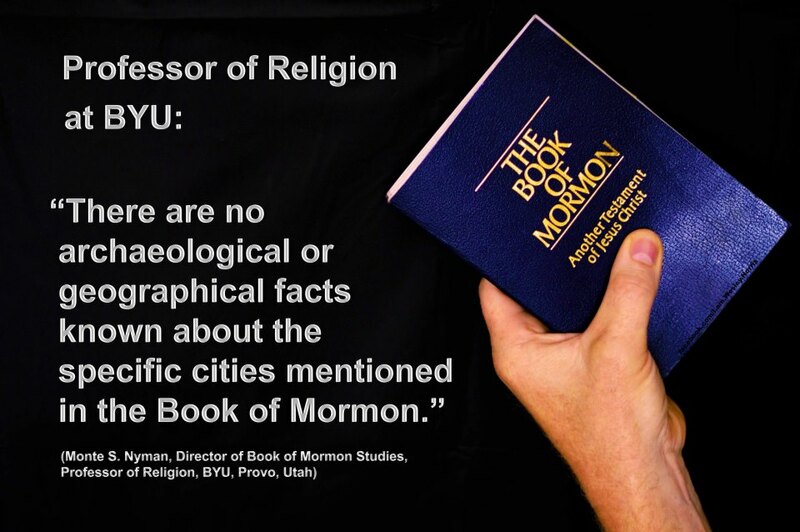 And once again, this official correspondence from BYU religious personnel confirmed to me that there are no geographical or archaeological facts known about any of the cities, people groups or the stories found within the pages of the BoM. 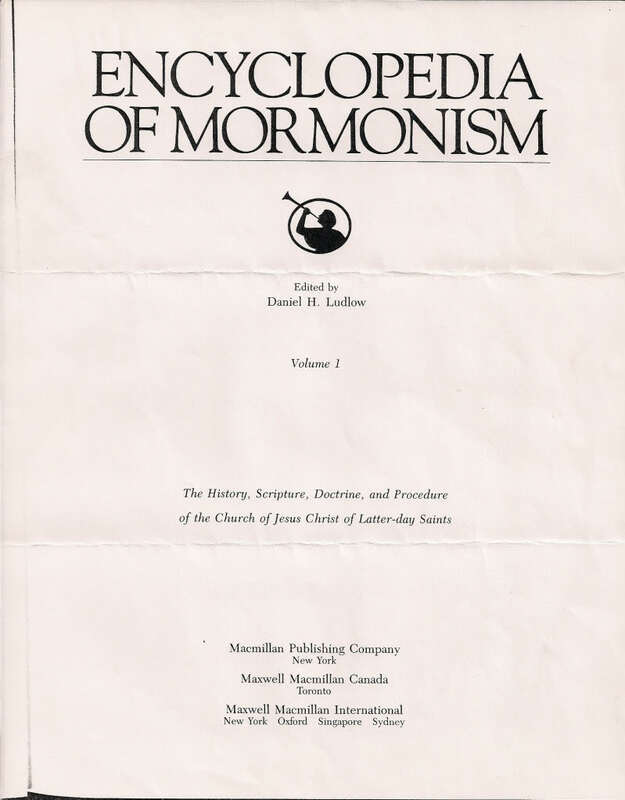 Enclosed with the letter were copies of pages from the Encyclopedia of Mormonism. These particular pages were laced with words like “assumptions,” “speculations,” “attempts have been made,” “locations unknown,” “conjectures,” “not yet revealed,” etc. 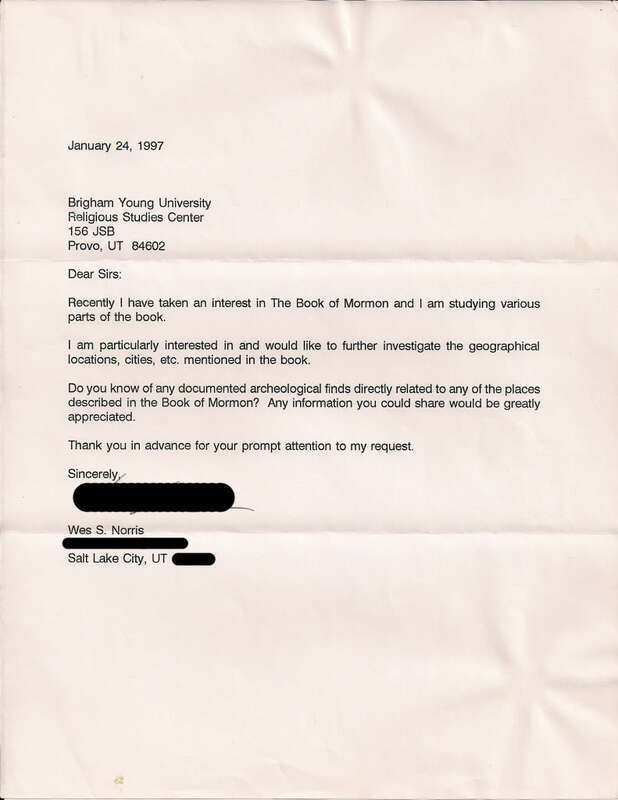 In 2006, nearly 10 years after my second letter to BYU, I sent yet another inquiry to BYU asking for any kind of evidence in any known field of study that would verify the lands spoken of in the BoM. This time I sent the letter to the Neal A. Maxwell Institute for Religious Scholarship at BYU. The response I received was a one-page reply from S. Kent Brown, Director of the Foundation for Ancient Research and Mormon Studies. 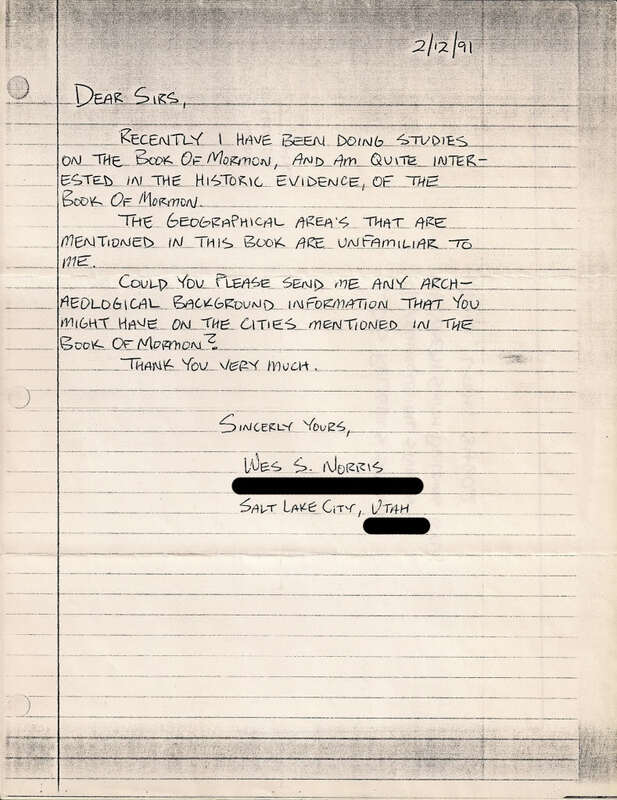 His answer was that “no archaeological ‘home run’ has been found in the Americas, but much circumstantial evidence has appeared.” He then proceeded to cite four LDS references (two from John E. Clark and two from John L. Sorenson) in regard to evaluating Book of Mormon geography. 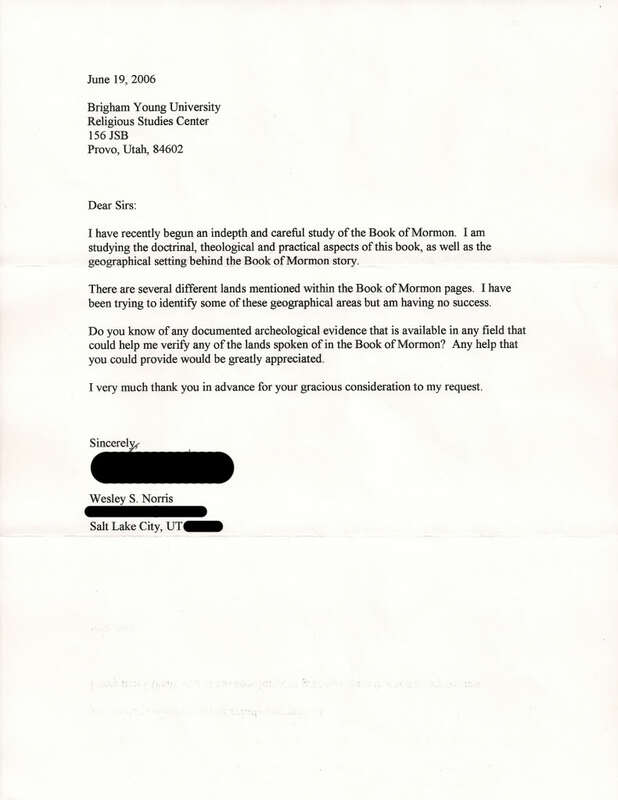 The above correspondence between myself and BYU undeniably confirmed to me the academic position of the Mormon Church concerning geographical and archeological evidence for the Book of Mormon. There is none. It is all speculation. The only response BYU had to offer was by referring me to further LDS studies. It is noteworthy to add that BYU never referred me to anything outside of LDS academia; each reference was given toward circular LDS sources. In the introductory page to the BoM the claim is made that it is a volume of scripture comparable to the Bible and that it is a history of the ancient inhabitants of the Americas. 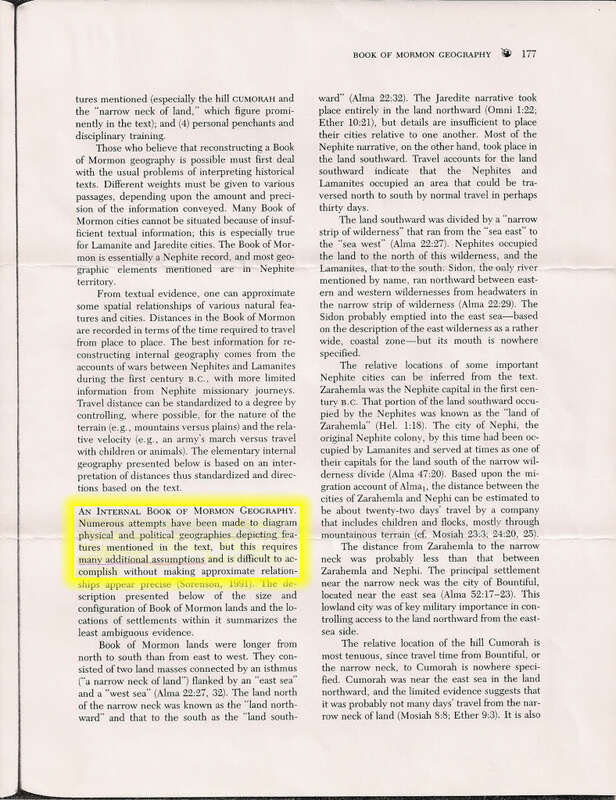 Joseph Smith has asserted through the BoM story that there were at least 38 major cities and places in the ancient Americas that must be part of history, yet to this day no geographic evidence of these areas have been found. Likewise, Smith has asserted that there were tens of millions of Jewish people groups living in the ancient Americas from 2600 BC to 421 AD. These people would have created, used, and left behind specific-era items, yet no archeological evidence in support of any of these things or supposed people groups have been found. Since Joseph Smith claimed the BoM was “the most correct of any book on earth” (November 28, 1841, History of the Church, vol. 4, pg. 461), what shall we do then, with the Book of Mormon? Where is truth to be found in the claims of Joseph Smith? Either the BoM is 100% true – as Smith bragged about in 1841 – and we can rely upon every word written in it, or if it is false in even one instance it must be considered fictitious and Joseph Smith must be regarded as a false prophet. 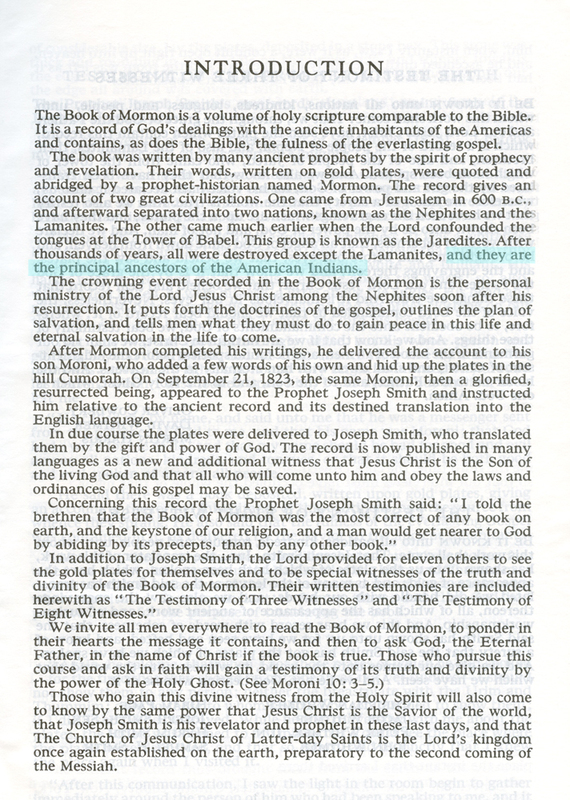 In conclusion, I believe that because of the advancement of knowledge in every known scientific field in this postmodern world – a world that Joseph Smith could not possibly foresee – it can easily be shown that Joseph Smith was a religious fraud and that the BoM is a historical and geographical ruse that was produced in order to deceive his followers and promote his self-interests. I had asked around a bit about Hill Cumorah when I lived near Palmyra. What had the local natives called it? No one had any recording of any kind of Indian name for it. Compared to the surrounding drumlins, it is small and unimpressing. There really seems to have no good reason to name it, as it was just not outstanding in any way. Of course, the Mormons claim this as proof that the lamanites forgot everything. However, I tend to think that if there was any kind of legend of the past, the susperstious natives would have remembered at least the name for it. 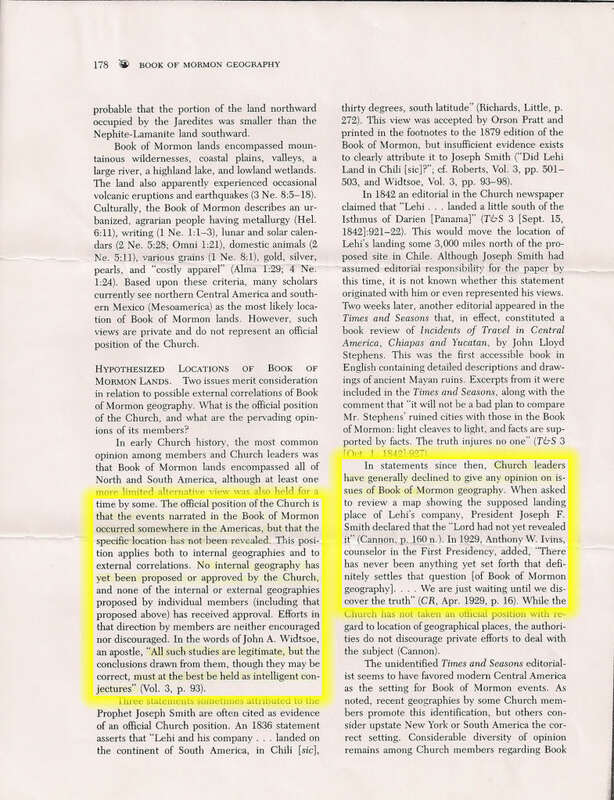 It wasn’t until after the articles about the islands of Komorah and its capital Mormo were in the papers, that Joseph Smith came along and give the hill its name back. Right. Here’s a link to a bunch of quotes I dug up years ago on the location of the Hill Cumorah in New York being the location of at least 2,230,000 death. Hundreds of thousands of these happened barely 1,200 years before the Pilgrims arrived.